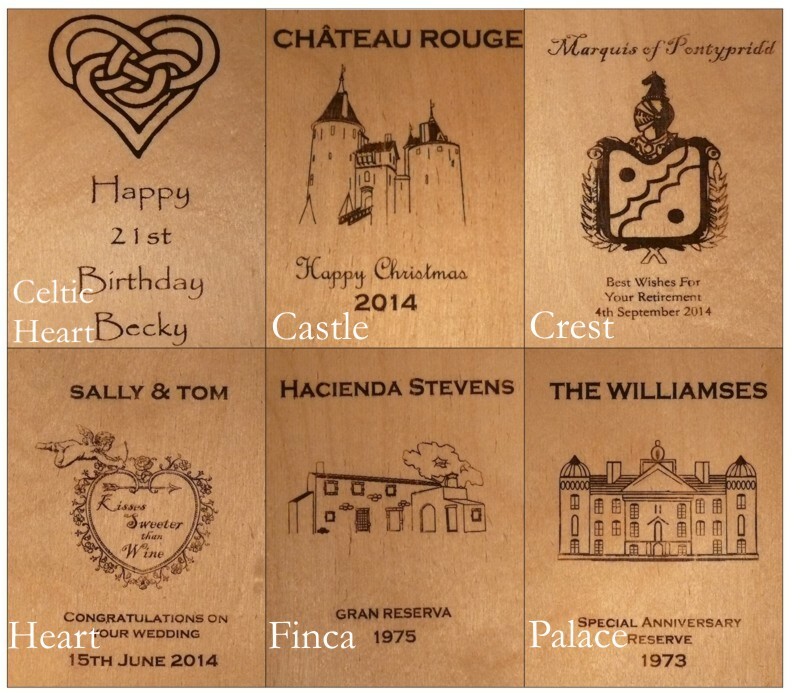 Personalised wooden wine box for one bottle of champagne or sparkling wine. 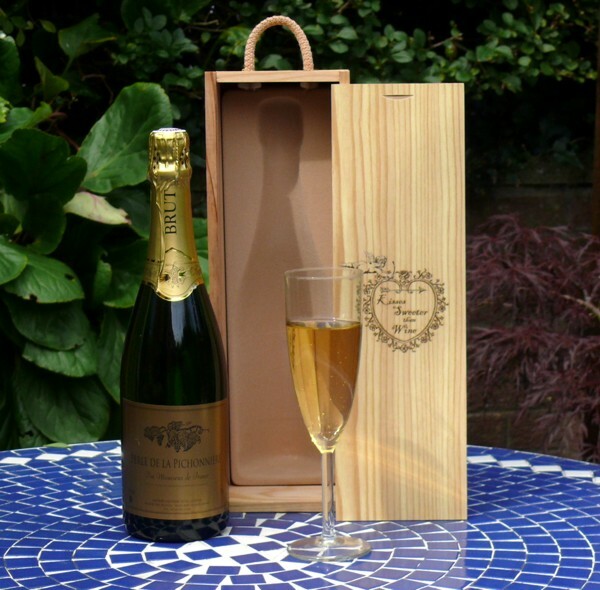 Our one bottle champagne boxes are made to hold a standard champagne bottle (used by most producers of Champagne, cava and other sparkling wines). They also have a sliding lid, a rope carrying handle and a peach coloured, flock covered moulded plastic tray to hold the bottle in place. 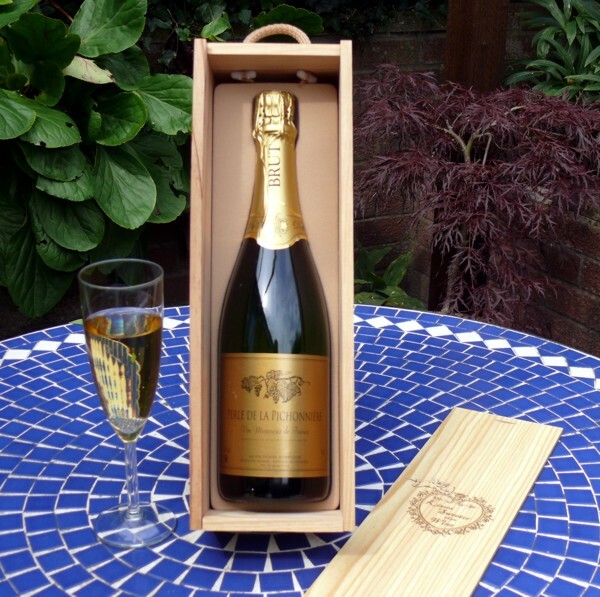 To use the box for a different shaped bottle or for other items, the insert can easily be removed and the items can be packed with straw or tissue.